9 historical facts about James the brother of Jesus that provide a strong basis for the truth of Christianity - Is Jesus Alive? Do you think that you could convince one of your siblings into believing that you’re the Son of God? Unless they were three years old, it would probably be a tough sell. After all, they’ve seen how you keep your room. So it’s a pretty amazing historical fact that Jesus’ brother James, who probably wore Jesus’ hand-me-downs, later as an adult converted to Christianity. And we know that he was sincere about his belief because he died for it. James’ martyrdom wasn’t just recorded in Christian sources (Hegesippus) but by the 1st-century Jewish historian Josephus. James conversion cries out for an explanation. How could someone come to believe so strongly that their big brother was the divine Messiah? Let’s take a look. 1. Josephus gives us a nice external confirmation of what we read in the gospels, Acts and epistles of Paul. Mark and Matthew both refer to Jesus’ brother James (Mark 6:3, Matthew 13:55) Luke and Paul refer to him not just as a brother of Jesus, but also as a leader in the church of Jerusalem (Acts 15:13, Galatians 1:19, Galatians 2:9). The confirmation from Josephus is one reason that even most skeptical scholars believe that Jesus was a historical figure. 2. Both Mark and John tell us that James wasn’t always a believer in Jesus. Mark 3:21 tells us that his siblings thought he was out of his mind. John 7:3-5 tell us that Jesus’ brothers mocked him and didn’t believe in him. While these verses don’t explicitly name James, it’s very possible he was included in these stories. This is quite an embarrassing admission from two gospel writers. The early church wouldn’t want to put one of their chief leaders as a former mocking skeptic if it wasn’t likely true. 3. Paul gives us a big clue to why James may have changed – he was an eyewitness of the resurrected Jesus. In defending the resurrection of the dead to the church of Corinth, Paul quotes an early Christian tradition he received from others. The creed mentions resurrection appearances includes James. (1 Corinthians 15:7) Well, that would probably explain a lot about James’ sudden change of tune! 4. James endorsed Paul’s gospel. In Galatians 2:9 we read that Paul met with several pillars in the Jerusalem church and they gave his message his stamp of their approval. This included James. This is a big deal because Paul preached that Jesus was not just the Messiah, but also the God of Israel. Here Paul quotes Joel 2:32 when he says “whosoever shall call on the name of the Lord shall be saved.” Joel was referring to God, and yet Paul, a former Pharisee, applies this passage to Jesus. The deity of Christ was part and parcel of Paul’s gospel, and Jesus’ brother wholeheartedly endorsed it. Amazing. 6. James and Jesus’ other brothers traveled abroad, preaching the gospel (1 Corinthians 9:5). While James was a leader in the Jerusalem church, he and Jesus’ other brothers were busy traveling and preaching to the point where Paul could mention it in passing to the church in Corinth. 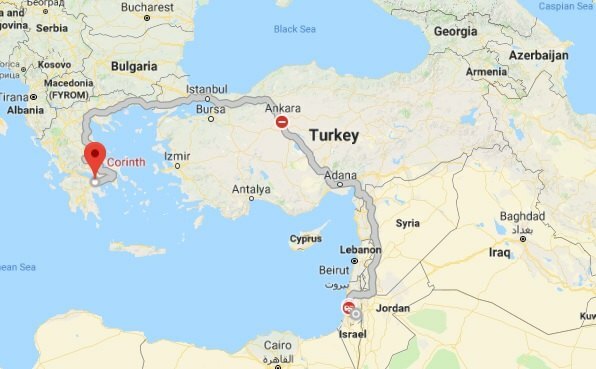 For those of you who are bad at geography, Corinth is in Greece, 1850+ miles away from Jerusalem. So what’s the big deal? That Jesus’ living family also converted and were part of spreading the gospel throughout the Roman empire, it would be mighty difficult for Matthew and Luke to come along later and invent a story of the virgin birth and pass it off like it was no big thing. The facts from his own family would’ve already been out there, so their gospels would have been met with resistance, but we know they were not. 7. According to Josephus, James was killed by the Jewish leadership for being a breaker of the Law (of Moses). Why did the pre-Christian Paul persecute the church? We know the answer to that question, and so it’s not hard to imagine that the new high priest and company were looking to kill off James for the same reason. They saw Christianity as a damnable heresy. The Jewish leaders accused Christians of preaching against the temple, the law, and that a crucified man was raised to be co-equal with God. (Acts 6:13-14) To be hung on a tree was to be cursed by God (Deuteronomy 21:23). They failed to realize it was their curse he bore. 8. James was killed in Jerusalem. As we looked at earlier, Luke and Paul said that James was a leader in the Jerusalem church. Josephus tells us he was stoned to death in the city. The reason why this is a big deal is while James’ traveled, his home base was Jerusalem, the very city that Jesus was crucified. If you want to spread a far-out story, you don’t do it in the city of the alleged events where you can easily be contradicted. Also, by preaching in the city that his brother was killed in, he would be inviting the same kind of persecution. 9. 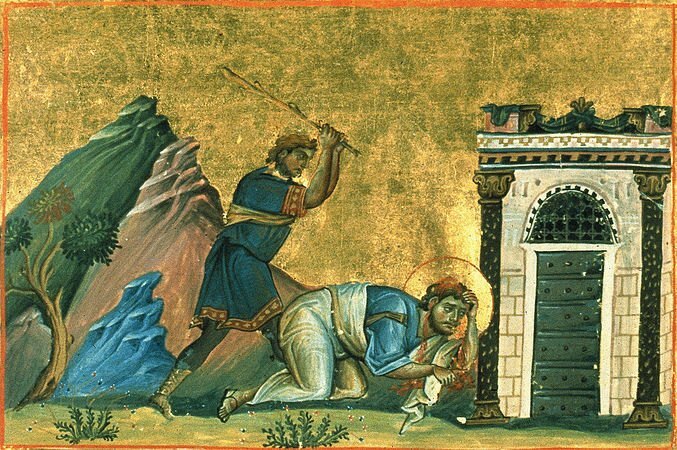 The martyrdom of James happened in 62 AD. So within a generation of the crucifixion, James was put to death for preaching the gospel. But we can go back even further. Paul wrote Galatians in around 50 AD and had met with him and said he was a leader in the Jerusalem church. So this means the resurrection was preached earlier than that. Most scholars say that the oral tradition of the resurrection appearances that Paul shares with the Corinthians dates back around 1-3 years after the crucifixion, and this oral tradition included James. So the sources are extremely early. My point is that the news that Jesus was the risen Messiah wasn’t a late invention. James provides some staggering proof that the Gospel as we know it was very early. Later legend isn’t an option here. James the brother of Jesus: Sneaky good evidence for the truth of Christianity. We learn from early Christian and non-Christian sources that James had a sudden turnaround and believed that his brother was the Messiah, the divine Son of Man, co-equal to the God of Israel. We know he believed it — he dedicated his life to proclaiming it — even to the point of death. It’s reasonable to think that he came to this belief on what he thought was a resurrection appearance. Christian apologists tend to focus a lot on the conversion of Paul and rightfully so, but we shouldn’t neglect James. While Paul was close-up to the events, as Jesus’ brother James was even closer in a way that Paul wasn’t. And even a non-Christian historian stood up and took notice of his witness. This kind of historical evidence shouldn’t be underappreciated. Erik is a former atheist turned Christian after an experience with the Holy Spirit. He’s a freelance baseball writer and digital marketing specialist who is passionate about the intersection of evangelism and apologetics.